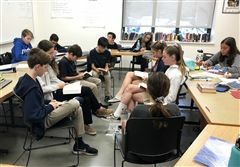 In anticipation of their China trip next month, 9th graders have been learning how cultural norms differ across the world, how to be mindful of those norms and what to do if they inadvertently cause offense in an unfamiliar culture. On Monday, students divided into groups from two imaginary countries with specific norms around greetings, meals and gift giving. They then interacted, noting how easy it was to misunderstand intentions, especially without communicating in a shared language. Thank you to Ms. Tam and Ms. Chu for spearheading the workshop! 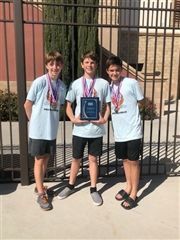 A group of eighth graders won the SeaPerch regional underwater robotics competition on April 13. (From left) Drake Archbold, Cole Pashkow and Nick Sanford, members of the team Seagulls, swept all events with their remotely operated vehicle. The Fries and The Gupta Gang both put in strong performances as well. 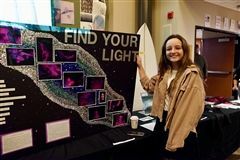 This year’s Seaperch challenge mimicked the 2018 real-life mission to rescue a boys soccer team from an underwater cave in Thailand. The middle schoolers’ overall scores outranked all the high schools competing in the regional event. They will compete in the national SeaPerch competition in June. 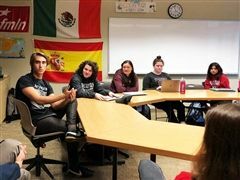 “You can’t control something like this happening to you but you can control how you view it and how you react to it,” Linfield Christian School Senior Alex Ruiz told students during Community Life. Alex had the lower portion of his left leg amputated after a football injury in 2017. He and Isaac Coulapide spoke to students about their experiences with life-changing injuries. Isaac encouraged students to drive safely because he wound up paralyzed after driving too fast to meet his curfew. 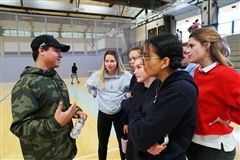 The teens are involved with Challenged Athletes Foundation and were hosted by service learning group Opportunities for Athletes. 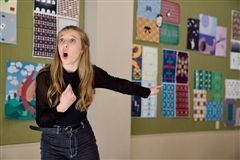 "Hello" is such a simple greeting, yet on March 14, Theater Arts students learned how much meaning they can give it using body language and voice control. 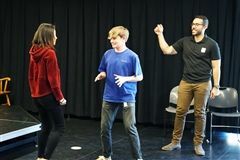 La Jolla Playhouse actor Frankie Alicea led students through a workshop in which one student acted as if they had power over another student using only the phrase "hello." The workshop was held in preparation for their visit to see the musical Diana at the playhouse later in the week. The Night in Naugaon fashion show hosted by upper school service learning group A Million Knots was a huge success Friday night! 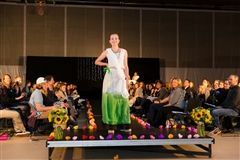 Students designed modern outfits influenced by traditional Indian styles and strutted their stuff all for a good cause. 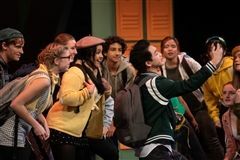 Net proceeds raised through a silent auction, ticket sales and outfit sales will go towards two nonprofits supporting people in Bhutan and will continue to fund the A Million Knots School in Rajasthan, India, which was founded by the service learning group. 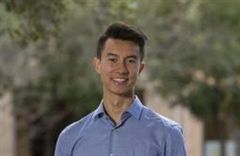 Congratulations to Tyler Chen '15 for being awarded as one of Stanford's Knight-Hennessy scholars. He is graduating from the University of California, Berkeley this spring with a bachelor’s degree in materials science and bioengineering and is pursuing a Ph.D. in bioengineering at Stanford School of Engineering. Learn more about Tyler's accomplishment here. Head toward the kitchen at the La Posada de Guadalupe Shelter on a given service day and you'll hear a buzz of activity. Several times a month, middle school students prepare meals, clean the kitchen and make small repairs, such as touching up paint on the dining room walls. According to Kitchen Manager and chef Mary Lisë de Bedts, the additional help makes a big difference. 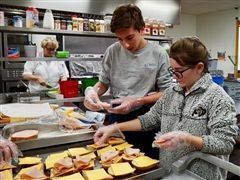 “Making the lunches is a huge help,” said de Bedts, who has been overseeing food preparation and service at the shelter for almost six years. “Without the kids, the nighttime staff have to prepare the lunches on top of their other duties, when they need to focus on helping the men. 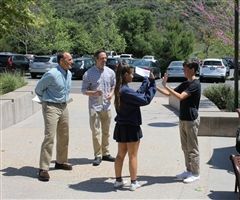 Because the students are doing this, the staff are more available in case there is an emergency and it’s not taking time away from the important work they are doing.” An upper school service learning group also visits La Posada each month to help with shelter maintenance and donate hygiene kits. Between tests, social lives, athletics and social media, teens have a lot on their plates. 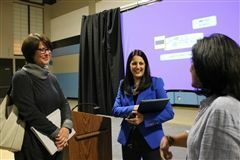 GoZen founder Renee Jain gave parents actionable tips on Monday to help teens turn stress into a positive force in their lives. The full presentation is available here. Thank you to the Parents Association for putting on this amazing event! According to a study by Point Loma Nazarene University and University of San Diego, between 3,000 and 8,000 human trafficking victims are identified in San Diego every year. Non-profit Project LIFE provides emergency services and intensive support to victims. 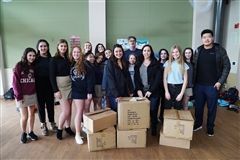 Upper school service learning group Priceless created more than 80 care packages to donate to trafficking victims through Project Life. Project Life representative Melissa Haupt said the bags, filled with toiletries, go a long way in starting the healing process. "This shows them that somebody out there cares, so they're more likely to use our services," said Ms. Haupt.